For Becca. On Her Birthday. For the past nineteen years, my sister Becca has told this story every time she introduces me to her friends. I guess to show them what our relationship is like. The take away as far as I can tell is that I am a person who backs up my words with action (so watch out), and—I hate to say it, but it’s true—sometimes Becca doesn’t know when to shut her mouth. It was a summer afternoon. 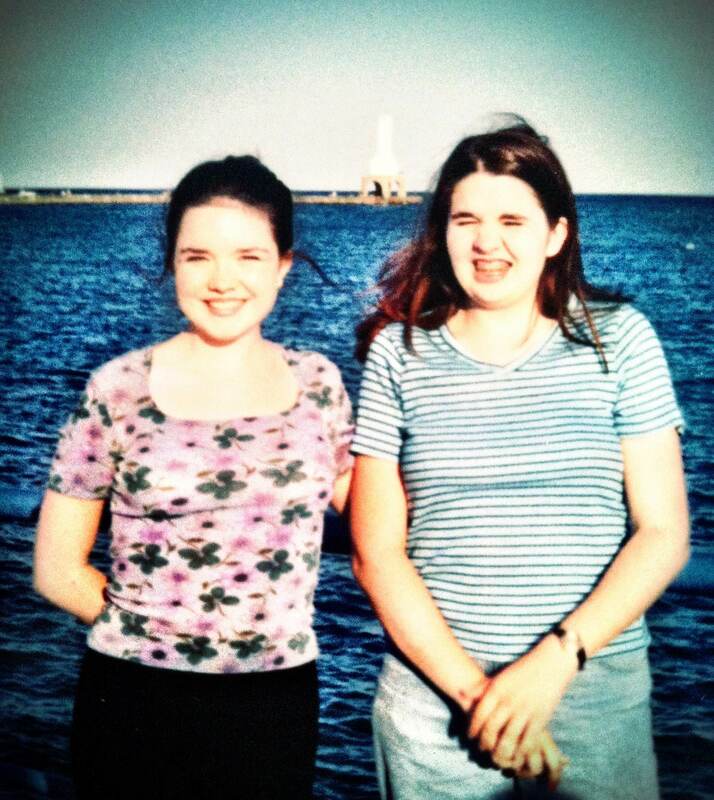 Becca was twelve and I was thirteen. Old enough to know better but not yet capable of controlling the surges of hormones and terror that allow an adolescent girl to do things she never imagined she would be capable of. In the above ground pool in the backyard, Becca and I had run in circles long enough to create a whirlpool and were now slung around flotation devices, letting the current tug us around the sides, under the ladder. The sun was setting and all we had to look forward to once we got out of the water were the indignities of piano practice and washing dishes. Then out of nowhere Becca started hollering about this boy I liked—Mary Loves Paul Agostini!—and my stomach jumped into my throat. She was just guessing at the name of my crush, but once she saw the look on my face, she knew she’d got me. Her voice echoed down the street. Anyone could hear her. People on their front lawns. Neighbors grilling dinner. Drivers passing by with their windows open. I disentangled from my Fun Noodle and tried to cross the pool to dunk Becca’s head under the water, but the current tugged me off course and all I could do was splash her. She was two inches taller than I was, anyway. No previous dunking attempts—even without a whirlpool—had ever been successful. If you don’t SHUT UP, I’m gonna SPIT….IN. YOUR. MOUTH.